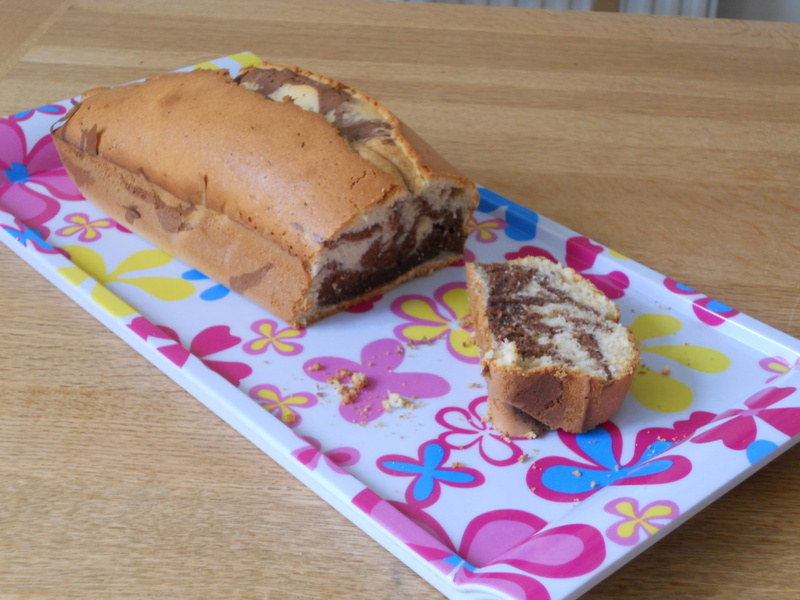 I am not a cake person but I love chocolate marble cake because it is related to my childhood. When I was a kid, I loved the chocolate marble cake from a French brand called Brossard (Savane de Brossard). I still think this is the best marble cake I have ever eaten because of its unique delicious taste. However, the recipe below is almost as tasty as the Savane! Melt the butter in a microwave. In a bowl, mix the melted butter, the sugar and the four egg yolks. Add 10cl of milk, the flour and the baking powder. In a clean bowl, whisk the egg whites until thick and stiff. Add them to the preparation. Divide the mixture in two parts. In one of them, add the vanilla sugar or vanilla extract. In the other one, add the cocoa powder. Pour some of the vanilla preparation in a cake tin. Add some of the chocolate one. Keep pouring the preparation by layers. Once baked, turn the cake out of the tin and let it cool down.